I am so honoured this year to be participating in the Handmade Holidays Blog Hop 2016. This fun blog hop features some truly amazing and talented bloggers who have created holiday decor that are easy for anyone to do on their own and include step by step instructions. 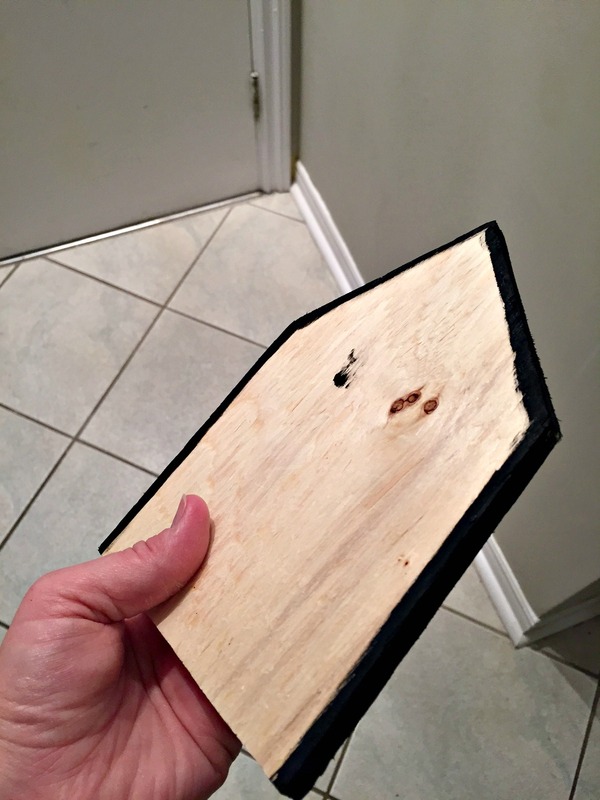 My entry for the blog hop was an easy $0.00 craft that I made using scrap wood I had lying around in the husband’s man cave. 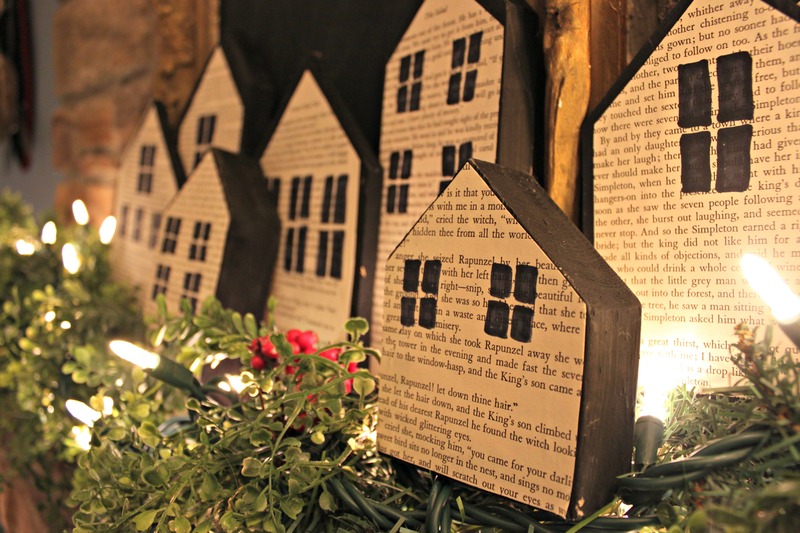 Scroll down to see how I transformed scrap wood pieces into fun little Christmas Wood Block Houses. 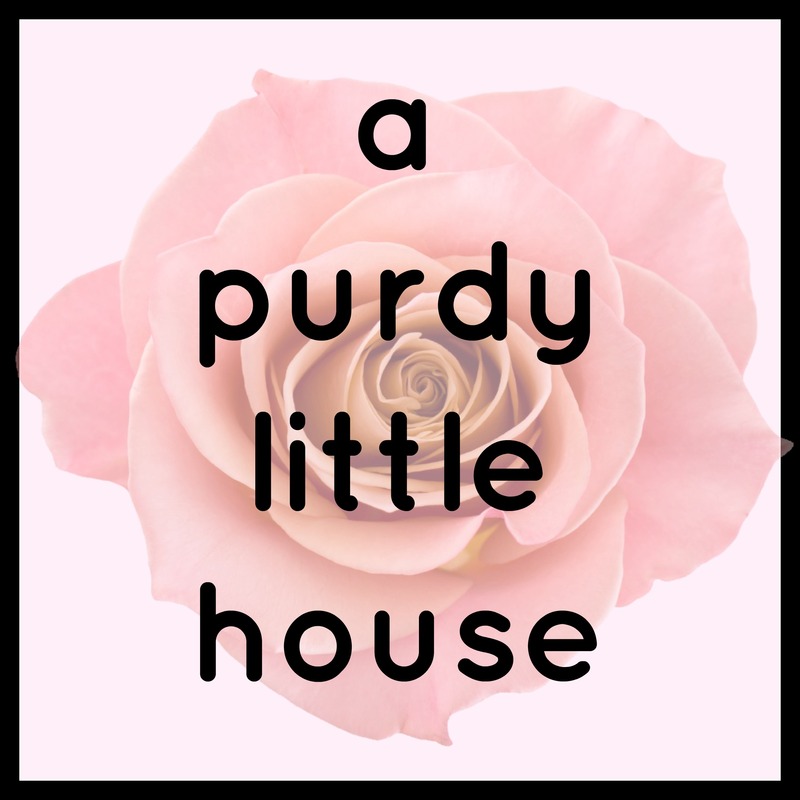 This fun blog hop also includes a giveaway that you can enter to win some really cool prizes (see deets on the giveaway below). Behold my Christmas Wood Block Houses. Lol. Ok…. Well, not quite yet. 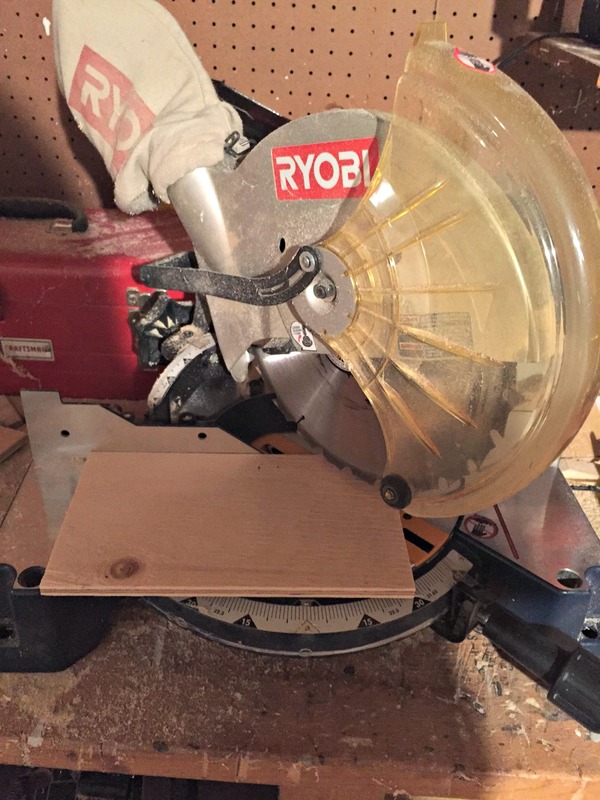 There was a little DIY involved in this project, but this is what I started with. Using my miter saw and safety glasses (of course) I set the blade at a 45 degree angle and cut the triangle roof shape on top. I repeated this process on each piece, and most of them were not a perfect triangle, but that was okay since it just added some dimension to the rooftops. 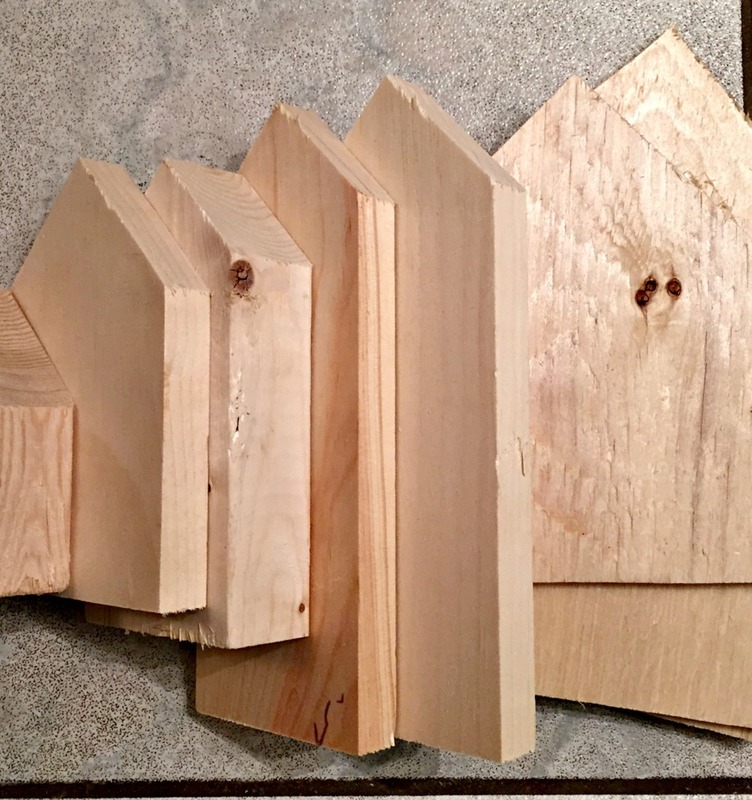 Here are what my wood pieces looked like after I cut the triangle roofs. 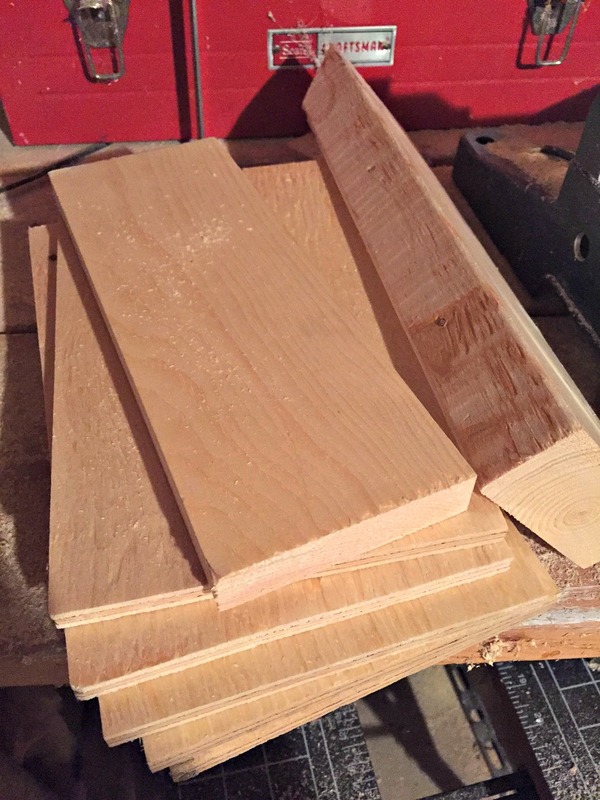 To shake things up, I chose scrap wood of varying heights and widths so that they would have the look of an old historical village. I sanded the edges that needed to be smoothed out. I had some black craft paint on hand, so I decided to paint all the edges black as most of my Christmas decor is neutral and I’m totally digging the black and white theme for all my holiday decor. I thought it would fun to glue some old book pages on to the front of my houses. 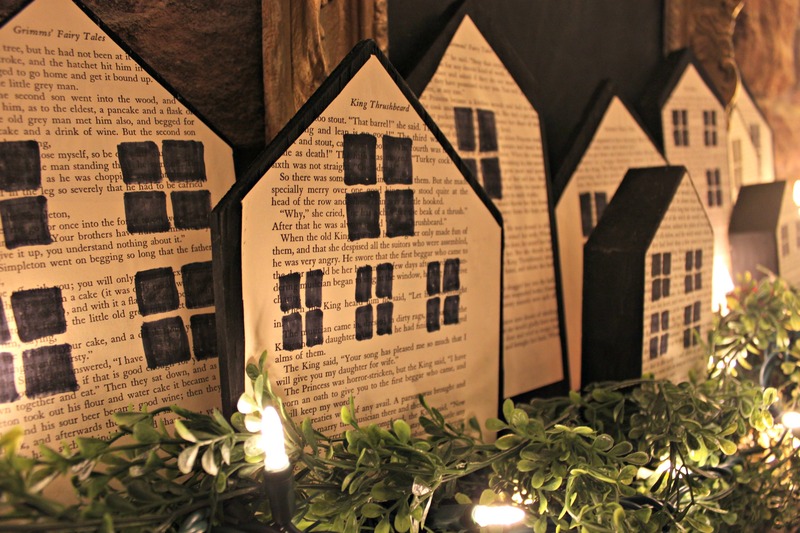 I love using book pages for crafts and decor and these old Grimms’ Fairy Tales pages are the perfect yellow tone for my Christmas decor. I then took a Sharpie and drew some little windows on my houses. I love how imperfect the windows are, since the houses themselves are kind of wonky. 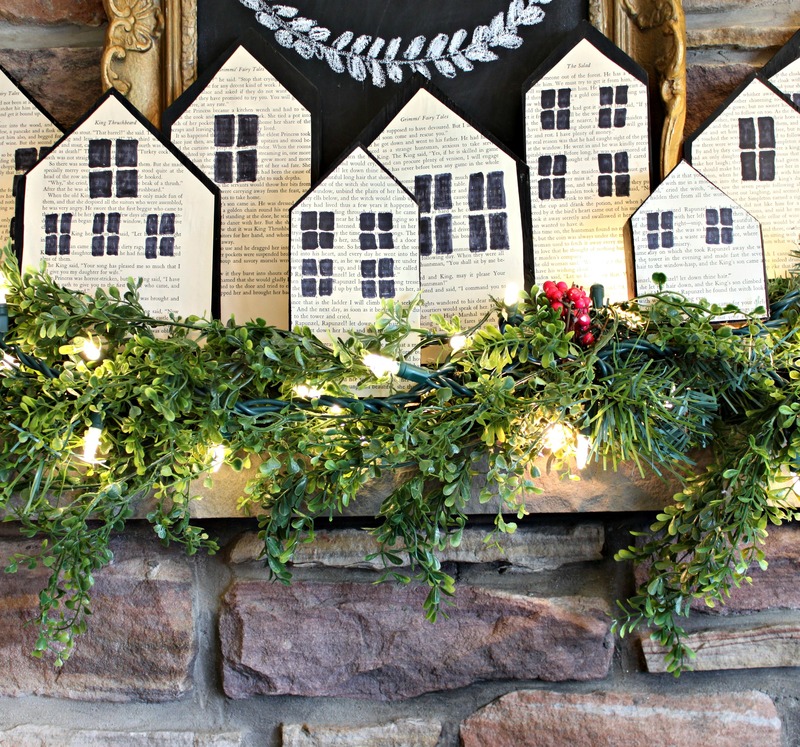 I chose to display these on my holiday mantel along with some garland and lights, but they are so versatile that they could be displayed on a window ledge, shelf or buffet. 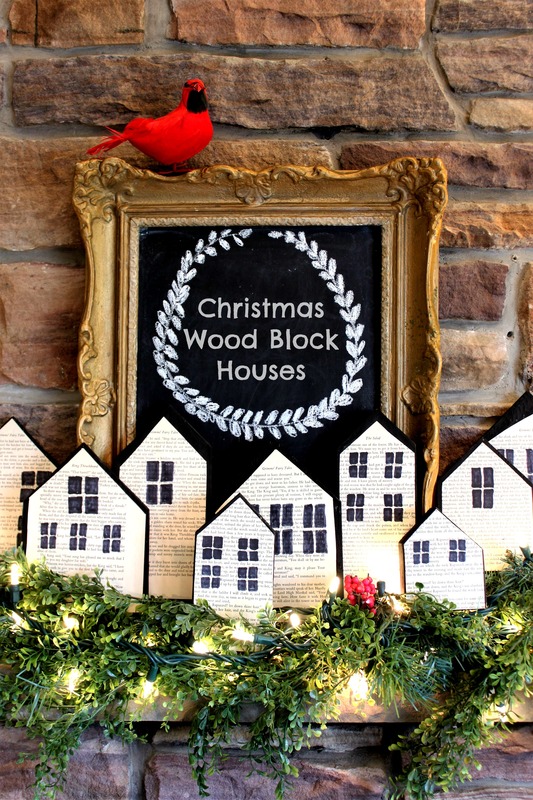 These fun little Christmas Wood Block Houses were so easy to put together and took very little time. For more Christmas decor inspiration, please make sure you check out all the fabulous projects completed by my blogging friends below. I’d also like to extend a huge THANK YOU to our wonderful sponsors for helping make this fun blog hop possible. The giveaway is for 11 prizes of $50 value each. We will be choosing 11 winners – each will receive one prize. Winners will be randomly drawn from all contest entries on November 14, 2016, and they will be displayed on the entry form. I love these! I want to make a set of my own. 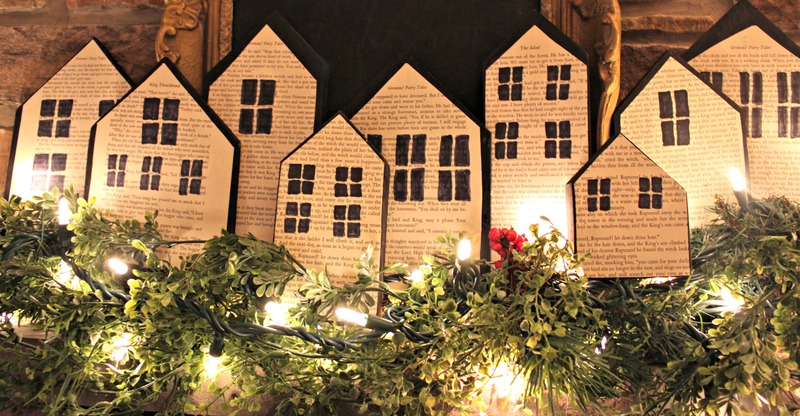 Love this idea and especially the look of old book paper. Thank you arianna for your kind comment. I’m in love with this! Your mantle looks amazing! Thanks so much. I love to upcycle anything that I’d otherwise throw away, and this project’s simplicity made this one of my favourites.